On 30 January 2019, ETF Deputy General Secretary Sabine Trier and Michaela Nemeckova, ETF Political Assistant, met in Warsaw with representatives of Polish trade union NSZZ “Solidarnosc”. Bogdan Kubiak, Deputy Chairman of the National Commission, Henryk Grymel, Chairman of the Council of the National Railway Section, and Wiesław Pełka, Deputy Chairman of the Council of the National Railway Section participated in the meeting. The next day, ETF Deputy General Secretary Sabine Trier met with Stanislaw Stolorz, the Chairman of FZZK, the Federation of Railway Trade Unions. Michaela Nemeckova (ETF) and Dominik Hejj (FZZK) were present. The main aim of both meetings was to exchange between ETF and the Polish trade unions organising railway workers. The ETF provided the Polish railway affiliates with an update on the ETF Railway Section workplan and priorities for the upcoming months. Likewise, the representatives of the Polish trade unions shared with ETF their current concerns and informed us about the struggles Polish railway workers are facing nowadays. The main topics on the agenda were the impact of the four railway packages, the liberalisation of rail freight and passenger transport and their consequences on both national and European level. We also discussed the liberalisation of regional passenger transport. Both Polish trade unions expressed their concerns about excessive working time and disrespect of rules, in particular with regards to safety-relevant professions in the railway sector. Moreover, the Polish affiliates informed ETF about their experience with social dumping in the rail sector in the region. Both trade unions have agreed that workers across the country need to enjoy the same rights and to be protected with collective bargaining agreements. 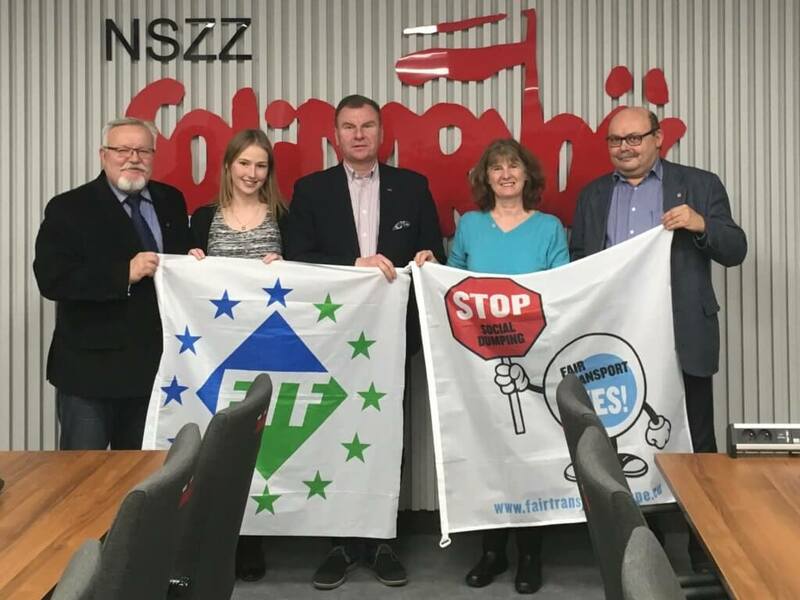 Finally, both FZZK and NSZZ “Solidarnosc” agreed to strengthen mutual collaboration between ETF and Poland and to support each other during the ongoing fights for dignity at work and fair working conditions for all. As a follow up to the meeting, both FZZK and NSZZ “Solidarnosc” were invited to the Polish city of Gdynia to meet with Eduardo Chagas, General Secretary of ETF on 5 February 2019 to debate nation-wide priorities for Polish workers and to discuss Polish contributions to the ETF Fair Transport campaign.